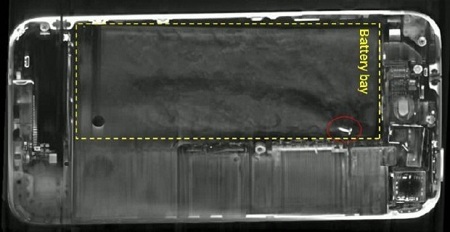 Back in November, there was a shocking incident that took place in Australia where an iPhone 4, started to self-combust itself and emitted dense amount of smoke and started glowing up in red illumination. The device belonged to a person who was travelling in a flight but luckily had just de-boarded the plane at his desination. The person was at the airport premises where security officers were able to extinguish the fire and prevent a major mishap from occurring. At that time the ATSB (Australian Transport Safety Bureau) had taken the device under its custody to investigate the matter and the verdict is out. 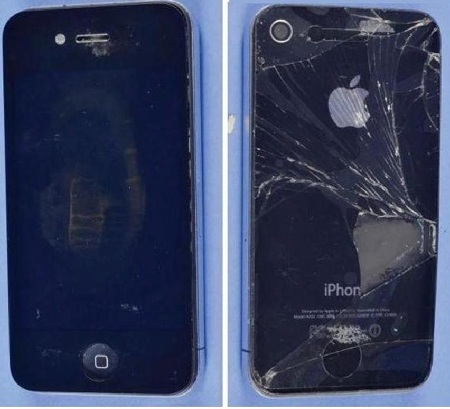 The iPhone 4 was badly repaired. 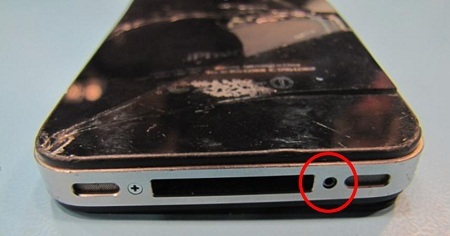 In its detailed investigation, the ATSB noticed that a screw from the 30 pin connector at the base of the telephone (or an identical item), was misplaced in the battery bay during a repair operation (as you can see below). And over time, this screw caused mechanical damage to the battery, resulting in an internal short circuit which in turn leads to the thermal runaway event. So all the iPhone users please make a note to get your device serviced by an authorised Apple representative at an Apple Store only and not by just anyone because it may result in you losing your device and just burning it up.